In large surface mining operations, drilling and blasting activities constitute more than 15% of the total costs. In order to optimize performance and minimize costs, a thorough knowledge of drill and blast operations is, therefore, extremely important. 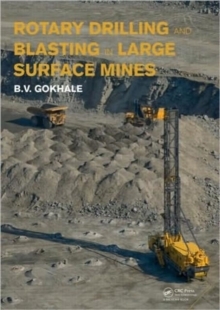 In this unique reference volume, rotary blasthole drilling and surface blasting, as applied in large surface mines, are comprehensively covered. Both new and classic concepts, techniques and methodologies are presented, supported by numerous illustrations and practical data. 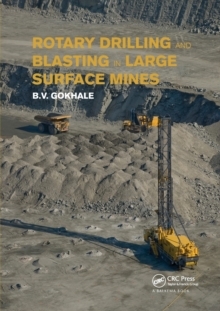 In 26 chapters, drilling, surface blasting, rock, rock mass, machinery, tools and accessories, compressors and air flushing, computing and practice are many other relevant subjects are treated; the first 16 chapters deal with rotary blasthole drilling, and the 10 next chapters with the concepts, theory and practice of blasting. Moreover, the 14 appendices provide vital technical and commercial data, to further support the reader to design, plan, execute, and calculate blasthole drilling operations. This volume is intended for professionals and technicians in mining, exploration, geological and mechanical engineering, who are involved with the design, planning, and execution of rotary drilling and blasting operations in surface mines.